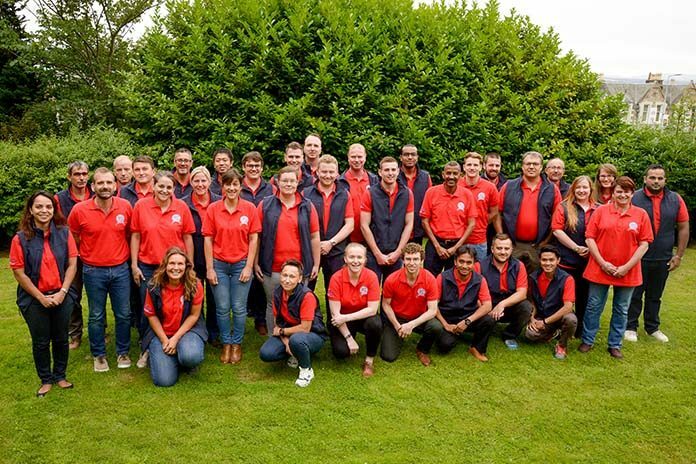 Aviagen® completed its seventh Poultry Industry Breeder Module of the Europe, Middle East & Africa (EMEA) Production Management School during the week of Aug. 26-Sept. in Edinburgh, Scotland. 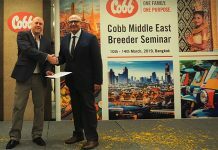 The goal of the module was to optimize parent stock (PS) performance and health and welfare, while stimulating economic returns for producers. This year’s School brought together 34 participants from nearly 20 countries around the globe, and for the first time welcomed a student from Mauritius in Africa. “We were pleased to see a great mix of students this year from throughout Europe, Middle East, Africa and Asia. 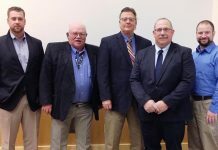 Whether new to the industry or poultry veterans, all were able to reap information and practices that they could take home and improve operations at home”, said Michael Longley, School Director. Ventilation management enabled students to apply best ventilation practices to produce the ideal environment for healthy birds at the right stocking density. Nutrition explored how to optimize nutrient availability and delivery for healthy birds. 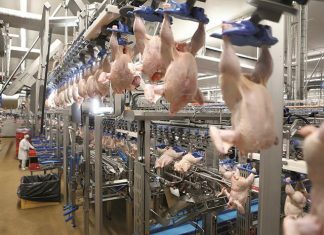 Financial benchmarking covered best poultry management practices for cost-efficient production. Veterinary health demonstrated how taking good care of the birds is critical to flock health, welfare and disease resistance. Critical age management showed the interactions between poultry, its environment, and critical time-dependent management decisions. Using lessons learned during the case study, students were asked to prepare and present their own business strategy aimed at improving production and profitability.